Batman: Mask of the Phantasm, the first original theatrical release from Warner Bros. Animation, will return to select cinemas on November 12, nearly 25 years after its premiere. 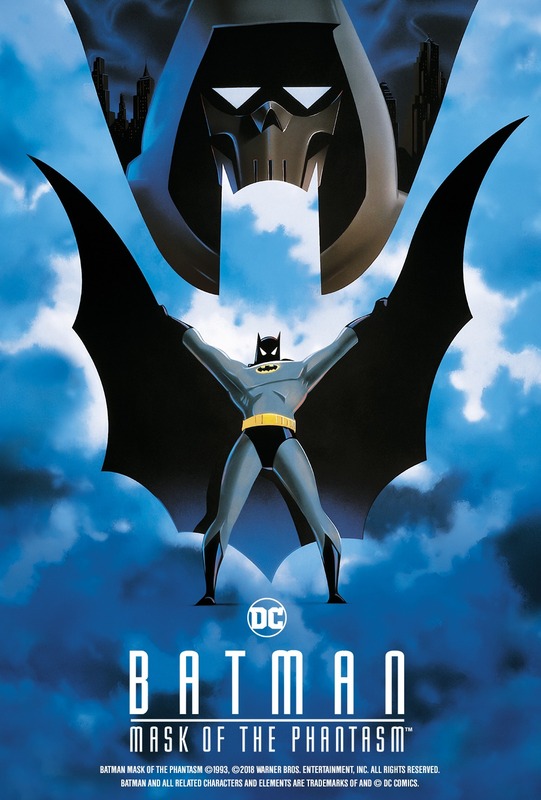 Set in the universe of Batman: The Animated Series, Batman: Mask of the Phantasm is considered by many fans to not only be the best animated Batman film, but possibly the best Batman film, period. The story follows Bruce Wayne as he reconciles with former lover Andrea Beaumont, even as the Dark Knight pursues a masked vigilante who’s killing Gotham’s crime bosses. Directed by Eric Radomski and Bruce Timm, Mask of the Phantasm boasts an all-star voice cast, including Kevin Conroy as Bruce Wayne/Batman, Mark Hamill as the Joker, Dana Delany as Andrea Beaumont, Efrem Zimbalist Jr. as Alfred and Stacy Keach as the Phantasm. The film will be accompanied by the 2010 Looney Tunes animated short Rabid Rider, which stars Wile E. Coyote and the Road Runner. Tickets are available from Fathom Events.